When can an identity speak multiple languages fluently? 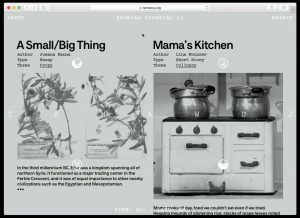 Sharjah Biennial 13, one of the Middle East’s premiere contemporary art exhibitions, commissioned us to develop an identity and publishing platform. Our website transforms the Biennial’s open-ended structure and themes into a dynamic online experience.